It is a legal requirement that the ATF produces a Certificate of Destruction (CoD) as soon as they have processed the destruction (scrappage) of a vehicle. The CoD is electronically submitted by the ATF to DVLA to notify DVLA of the destruction of the vehicle so that the DVLA database can be updated. Should I receive a copy of the Certificate of Destruction when I scrap my car? 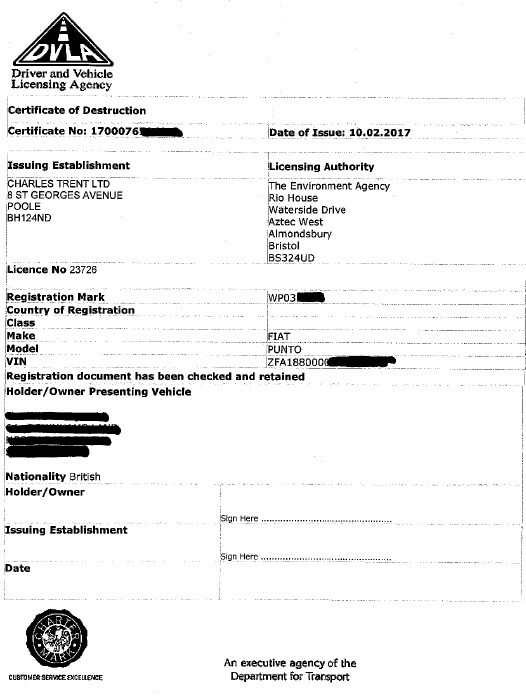 Some Authorised Treatment Facilities will routinely supply the vehicle seller with a copy of the Certificate of Destruction. Others will do so only upon request. It is not a legal requirement for the vehicle seller to obtain a copy of the CoD. If I sell my car for scrap, do I have to inform the DVLA? YES! 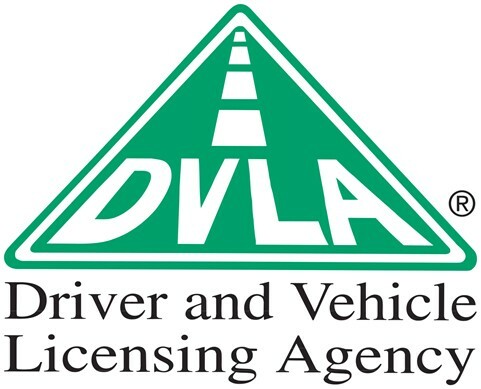 It is a legal requirement that the registered keeper of a vehicle MUST notify DVLA immediately when ownership of the vehicle is transferred. This includes when the car is released to an Authorised Treatment Facility for scrapping. How can I find an ATF to scrap my car?